The Society will encourage development and coordination of Organ-on-Chip research in Europe in support of better health for all. Membership will be open from 2019 to all researchers in the field, providing access benefits to the pending digital Organ-on-Chip platform, the annual meeting and the future society journal. 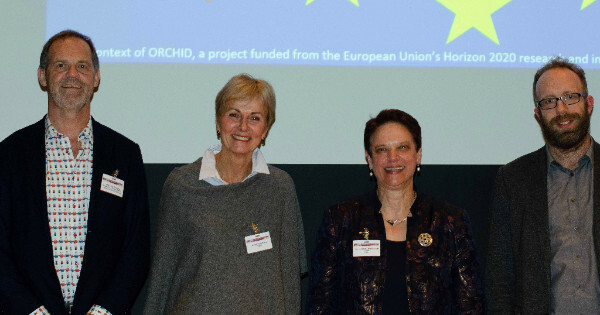 First Board of EUROoCS (from left to right) Albert van den Berg, Christine Mummery, Janny van den Eijnden-van Raaij and Peter Loskill.